Beebe Healthcare is committed to serving women's health needs throughout their lives. This is why we offer a wide range of women's services - from 3D mammograms to labor and delivery to gynecological surgery. Here for You. Here for Your Baby. Beebe Healthcare's Labor & Delivery unit offers 24/7 family-centered care for mothers and infants. Maternity and birthing center services at the Margaret H. Rollins Lewes Campus include state-of-the-art labor and delivery rooms, surgical operating rooms, and neonatal nurse practitioners, all in a comfortable environment for your family. Our team of OB/GYNs provide well-rounded prenatal care at women's health clinics so that both mother and baby are healthy. Find an OB/GYN. Beebe's multidisciplinary team includes your primary care provider, gynecologist, Breast Health Nurse Navigator, diagnostic radiologists, and the entire Cancer Services team. Regular mammogram screenings are recommended for women starting at age 40. If a screening mammogram requires further testing, our Breast Health Nurse Navigator can help guide your journey. If surgery is required, our cancer surgery team is here for you. Beebe's Surgical Services teams complete procedures in 12 operating rooms at the Margaret H. Rollins Lewes Campus and at Beebe Outpatient Surgery Center at Beebe's Rehoboth Beach Health Campus. This advanced teams work with patients, surgeons, and the care team to best determine your individualized health journey. As part of Beebe's continued dedication to women's health, we offer a Women's Resource Center that gives information about our Beebe physicians, as well as about services in our local community for women and children. Are you new to the area and looking for a pediatrician? Check out the resource page for local information. 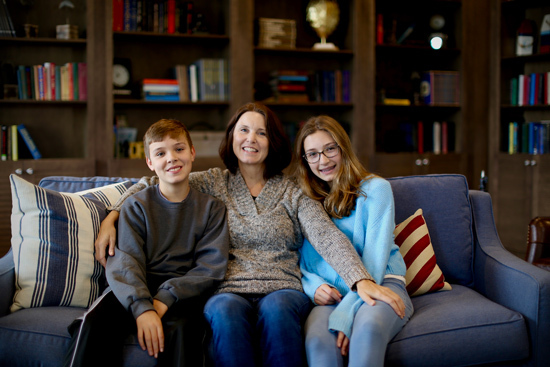 When Karen Coty learned she needed surgery, her main goal was to get back to taking care of her kids quickly. Learn how Beebe's Center for Robotic Surgery made it possible. Receive health and wellness tips?